The picturesque Horton Mansion is one of the best examples of Gothic Revival architecture in Sussex County. Built-in 1858-59 for John Horton, a harness and saddle manufacturer, the house sports a rock-faced limestone exterior, pointed-arch sandstone window, and door hoods, a wrap-around veranda with a bracketed cornice and chamfered posts all capped by a cross-gabled roof. By the 1920s, the property was out of Horton family hands and housing a seminary. It was sold to the county in 1984 for Sussex County Community College, which has not been using the building. Adjacent to the college’s administration building, and surrounded on three sides by a parking lot, the Horton Mansion is showing signs of neglect. 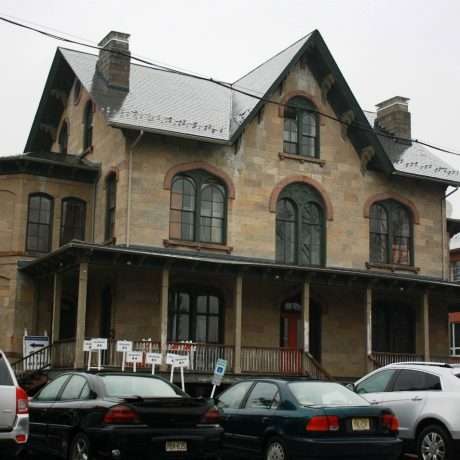 A solution might lie in partnering with a preservation-oriented organization, such as the Sussex County Historical Society, but the college has no long-term plans for the property.